Smug 2-in-1 Combo - 20 oz. Smug 2-in-1 Combo - 20 oz Stainless Steel.Features stainless steel dual wall insulation. 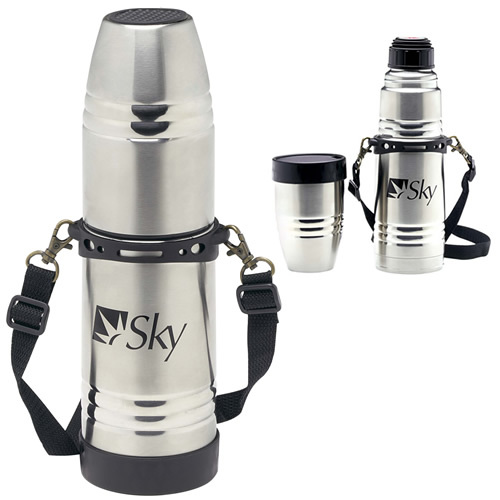 The thermo mug combo includes a detachable carry strap. One touch pour thru stopper for easy convenience. The 20 ounce capacity and stainless steel dual wall insulation is great for people on the go.